In numerology, the heredity number allows you to understand your origins and your own legacy. This number deciphers the orientations tied to heredity, as well as a few aspects relevant to social demeanor. Through a calculation of this heredity number, one can unveil the meaning of the last name. Here, you will find the interpretation of the number 1. Heredity number 1 brings you a lot of confidence, and those lucky people who bear it can stride ahead with boldness. This innate self-assurance gives them the rigor and daring they need to put themselves at the top of the hierarchy. According to numerology, they are also loners, and as a consequence they need a lot of independence. This need might sometime come with a slight egotism. Regardless, being on their own makes them creative and they can make the most of it for their self-improvement. People with heredity number 1 are such natural born leaders that people around them consider that they are qualified to make decisions. This is why the instructions they give to other people are so easily accepted. As such, people with heredity number 1 display great organization skills. These many qualities also bring a lot of business acumen, and a need to move forward. Indeed, heredity number 1 is not lacking in courage or temerity. People tied to it usually have an iron will and never give up in the face of adversity. Everything leads them to succeed in their professional life because their ambition also pushes them to climb the social ladder. The downside of all these qualities is that a last name with number 1 unveils that these people can be full of pride, and in some cases burdened by an extremely domineering spirit. They can also have a lot of nerves sometimes. To discover the meaning of other last names and their heredity number, move on to the page dedicated to Last name numerology. 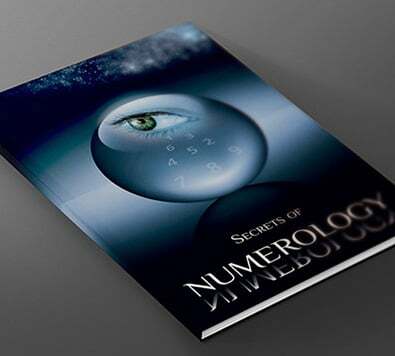 You can further learn about your life path, free of charge, by reading my article about astral numerology. More generally, if you are interested in the numerology of first names, you might like this page. Using your first and last names, you will learn how to calculate, free of charge, your soul urge number, personal number or even your expression number. How can I read from coffee grounds?